Magnifying reading glasses come in many different styles using different lens technologies. There is no one type of eye glass that works for everyone with macular degeneration. Dr. Randy Kinkade, OD, MPH, FAAO evaluates the patient's vision and then tests different forms of eye glasses to find the pair(s) that works for the individual based on what tasks the person is wanting to perform. In this e-interview Dr. Kinkade talks specifically about just one of the many magnifying glasses that are offered to those with low vision. 1. Tell us about yourself, your credentials, your practice and the types of patients that you see. 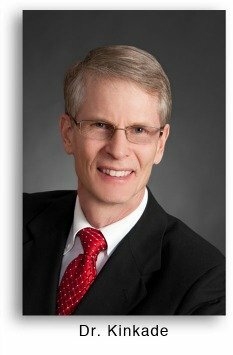 I am an optometrist in Connecticut and have practiced in the field of low vision rehabilitation for 30 years. I have a Master of Public Health degree where I adapted my studies to concentrate on the prevention of disabilities related to vision impairments. I am often lecturing on the newest options for enhancing sight. I am a founding member of the International Academy of Low Vision Specialists. I am a Fellow of the American Academy of Optometry Low Vision Section and a member of the Vision Rehabilitation Section of the American Optometric Association. 2. Often patients with AMD reach a point when the retina specialist tells them that there is nothing more he/she can do to treat their retinal condition. Explain how low vision glasses can be helpful when there is no more available treatment. 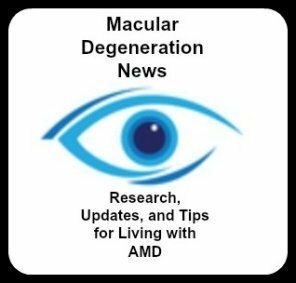 People with advancing macular degeneration need a lot of magnification to “see around the blind spots and distortion” and regular eyeglasses cannot provide that. Low vision magnification glasses makes the blind spots and distortions seem smaller compared to an unmagnified image; however, magnification can never truly eliminate them. 3. There are many different helpful low vision technologies and specialized glasses that can enhance one's usable vision. Today let's talk about the Prismatic Magnifying Readers. Who is a candidate for Prismatic Magnifying Readers? Individuals whose vision is in the range of 20/40 to 20/200 and is relatively equal in both eyes can benefit. 4. How are these glasses different from regular eye glasses? The prism enables reading material to be held at a closer distance allowing for more magnification and comfort. The closer an object is held to the eyes the more the eyes must converge (turn in) to be binocular. Holding the reading material closer and being binocular means more magnified words can be seen at a time. The prism reduces eye stress. PMRs can be designed in either a two lens system (one lens is a high powered “plus” lens for magnification and the other is a “prism” to reduce eye stress) or a one lens designed for lighter weight. 5. Are they worn all the time or just when performing certain activities? 6. Approximately how much do Prismatic Magnifying Readers cost and do any insurances pay for them? The cost depends on the power, the lens design and the frame material. The average cost is around $400-600. 7. Can a patient test them out to be sure they will be helpful before purchasing a pair of these specialized glasses? A patient needs to bring in what they want to read into the examination room. The patient and the doctor must see a benefit before they are ordered. The patient will have an opportunity to verify the benefit at the dispensing visit. 8. Where or how can a person get examined to see if these glasses would be helpful to them? 9. How can someone contact you to discuss the different low vision glasses and services that you offer?